Like any other kid Nabeel adores Smiley. So much so that I was compelled to buy smiley cookie cutters which I frequently use to create something for his lunch box. For example the Smiley Pooris, Smiley Rotis or even the Smiley cookies that were used to decorate his Christmas tree last year. 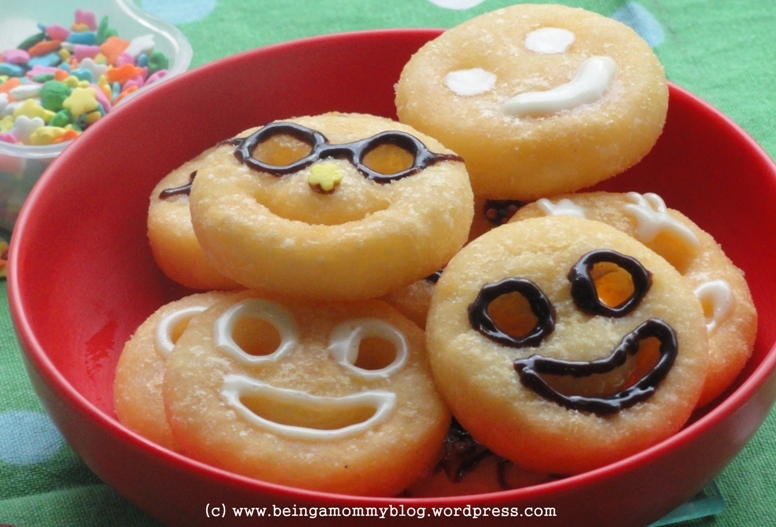 Few days ago, at a birthday party the kids were served Potato Smiley’s and since then Nabeel has been demanding the same from my kitchen :-). So on my last trip to the grocer I bought a pack of McCain Potato Smiley’s. 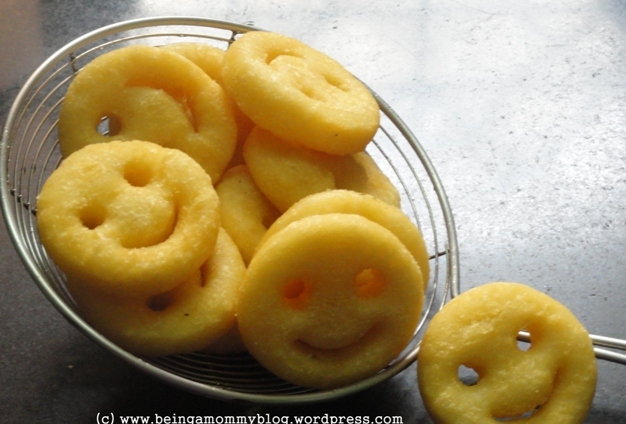 McCain snacks are my trusted choice when it comes to buying frozen foods and their Smiley’s are the best in this category. Instead of just frying and serving I decided to make the smiley’s more fun and attractive using Nabeel’s favourite ingredients. Nabeel often dips his Homemade French fries in cheese spread and chocolate sauce, that’s exactly what I used to decorate the Smiley’s for him. 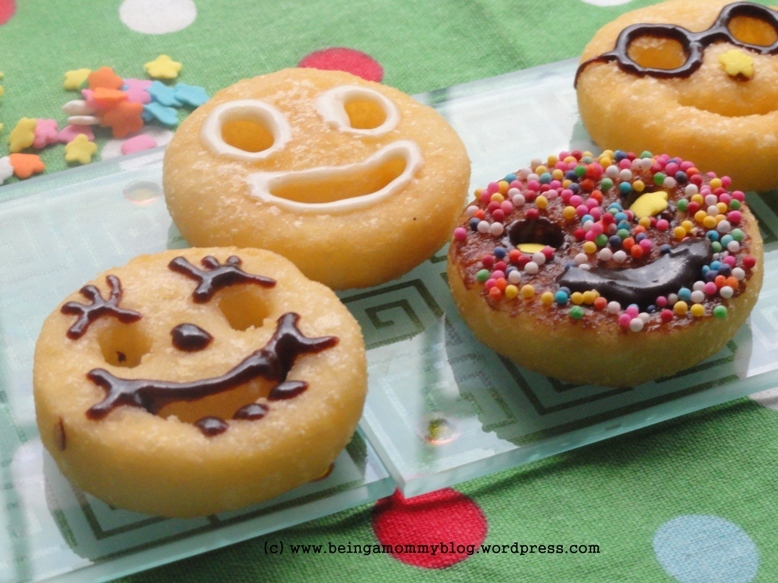 Nabeel and I had a fun session over the weekend frying, decorating and munching on the Smiley’s. It was hard to ignore Nabeel’s smiling face during the entire session which made me smile too. After all, smiles are doubled, when shared. You too can have a similar session with your kids. Things required! Step 1 – Cook the smiley’s following the instructions on the pack. Step 2 – Allow them to cool a bit and then spread the chocolate sauce or cheese spread over them. Decorate with colored sprinkles. 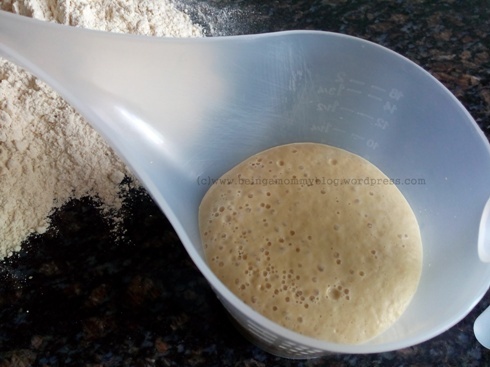 Step 3 – Smile, Click & Eat.